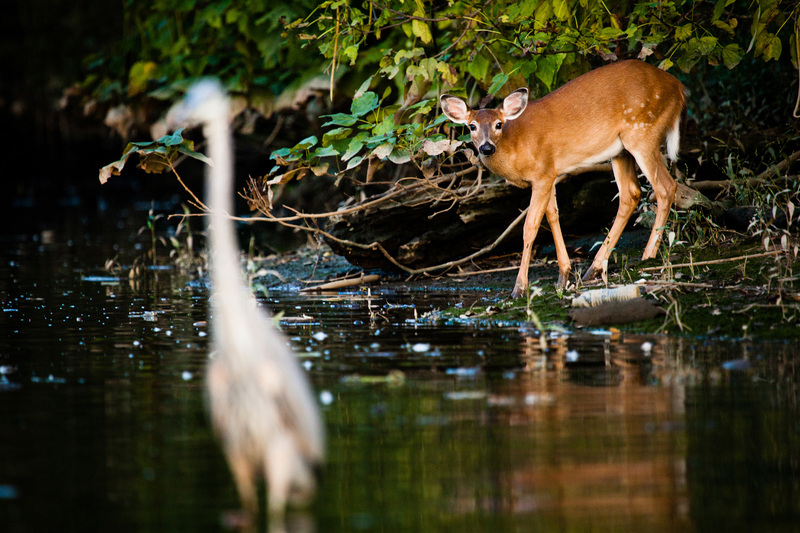 A deer visits the riverbank as a heron wades through the shallows of the Anacostia River in Washington, D.C., on Sept. 23, 2014. A sluggish male blue crab rests after being caught by the Blue Crab Winter Dredge Survey in the lower stretch of the Chesapeake Bay near the mouth of the York River in Virginia on March 8, 2016. An osprey carries away a pipefish it snatched from Knapps Narrows in Tilghman Island, Md., on Monday, Sept. 1, 2015. 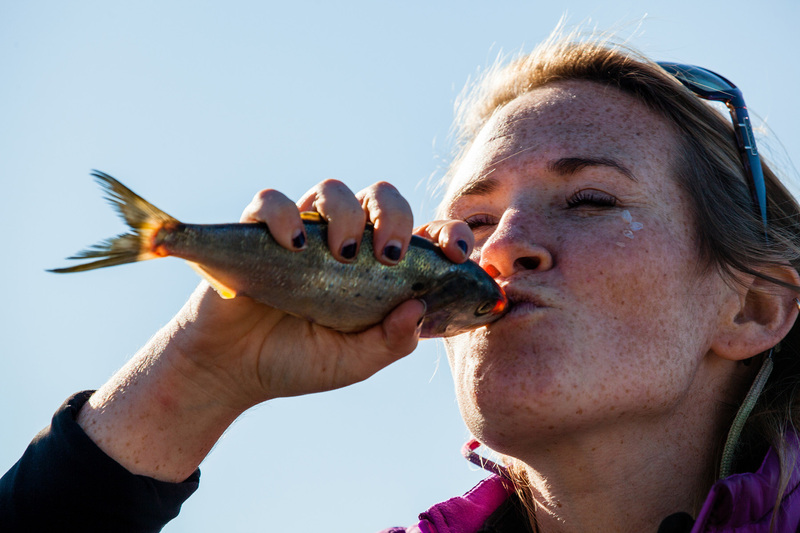 Norah Carlos of the Chesapeake Bay Foundation demonstrates the first half of the "kiss and twist" method of preparing a menhaden for use as bait for a crab pot on the waters of Smith Island, Md., on Oct. 27, 2014. A North American river otter dries off at the Virginia Living Museum in Newport News, Va., on March 9, 2016. A clump of oysters from Harris Creek is seen on February 27, 2018. 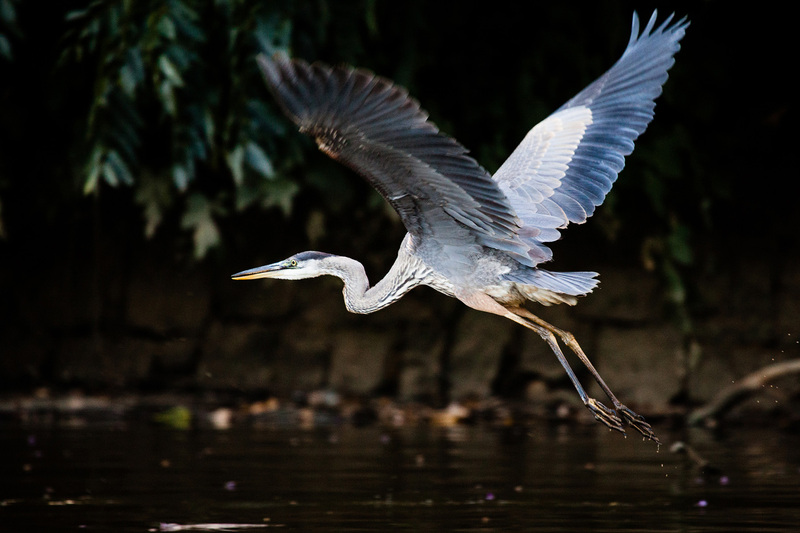 A great blue heron takes flight on the Anacostia River in Washington, D.C., on Sept. 23, 2014. 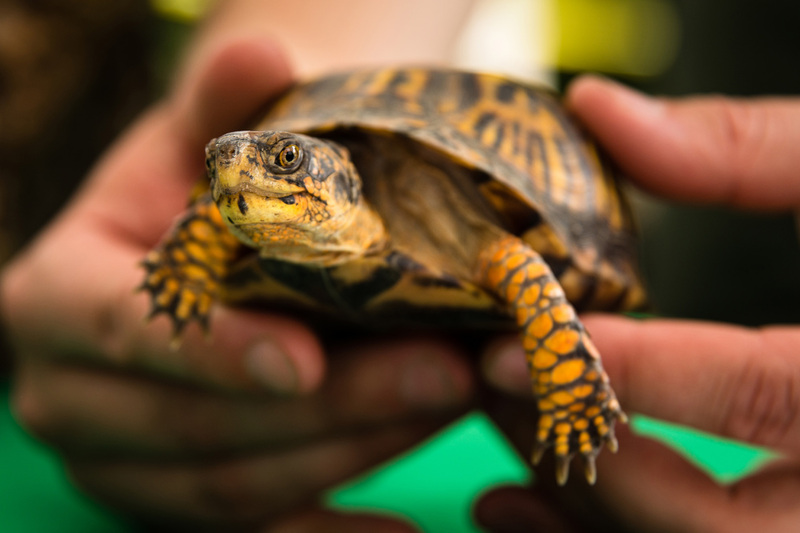 A common box turtle is exhibited at the Smithsonian Environmental Research Center open house in Edgewater, Md., on May 20, 2017. A wild turkey shares an enclosure at the Virginia Living Museum in Newport News, Va., on March 9, 2016. From West Virginia’s white-tailed deer and New York’s river otters to Maryland’s blue crabs and Virginia’s oysters, the Chesapeake region is known for its iconic critters. In fact, the watershed supports more than 3,600 species of plants and animals. Learn about ten of the many animals that call the region home. Striped bass, also known as rockfish or stripers, can weigh up to 125 pounds, though they usually weigh 10 to 30. The Chesapeake Bay is a crucial nursery for striped bass—as much as 90 percent of the Atlantic’s striped bass spawn in the Bay. 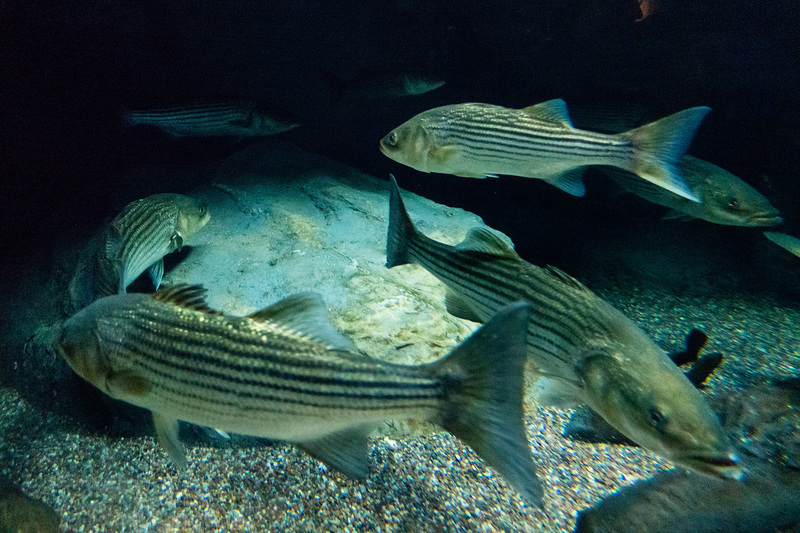 Striped bass are a key predator in the Chesapeake and are also one of the top commercial and recreational fisheries. Though they are recovering from a severe population decline in the 70s and 80s, threats to their health still remain. White-tailed deer are found in forests, farms, wetlands and suburban areas throughout the region. They are remarkably good swimmers as well as agile runners capable of reaching speeds of 35 miles per hour and jumping 30 feet horizontally and 8.5 feet vertically. Due to declining populations of wolves, bobcats and coyotes, humans are their only major predator. Perhaps the most recognizable critter of the Chesapeake, blue crabs live in the Bay’s waters year-round. Male crabs prefer fresher waters, while the female crabs spend more time in saltier waters. Blue crabs are important for commercial and recreational fisheries. 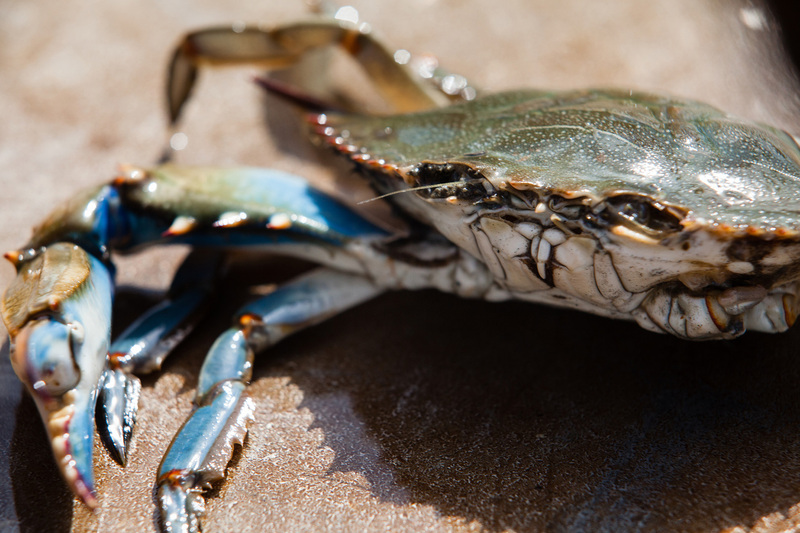 In 2018, scientists estimated that around 371 million blue crabs lived in the Bay, which is below the Chesapeake Bay Program’s population target but represents a healthy and sustainable population. 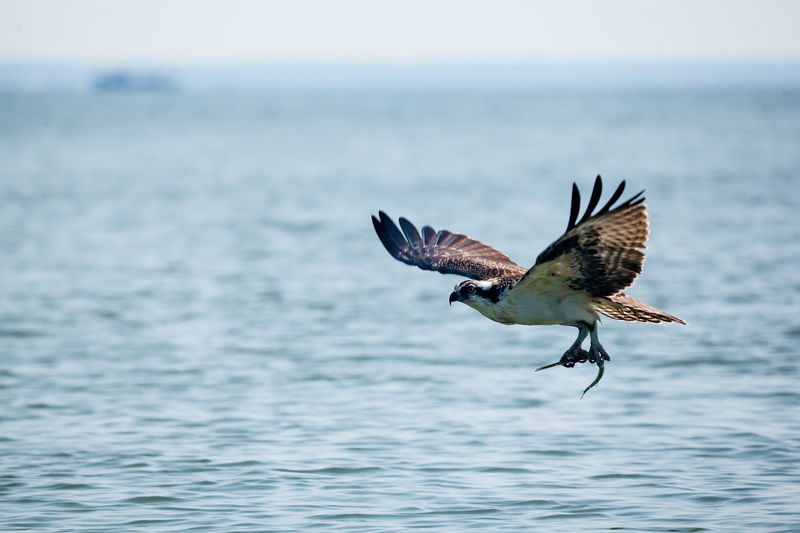 Osprey feed almost exclusively on medium-sized fish like perch, shad and menhaden, giving them the nickname fish hawk. These expert hunters will capture prey in their claws and re-arrange the fish to face forward when flying in order to reduce the drag. Though they suffered population declines in the mid-1900s due to the use of the pesticide DDT, they are one of the most widespread birds in the world, living on every continent except Antarctica. Atlantic menhaden are small, silvery-blue herring that grow 14 to 18 inches in length. These fish are a key food source for a variety of larger predators, including bluefish, weakfish, striped bass, sharks and mackerels. While menhaden are not generally eaten by humans, they are a popular catch used for fish oil. 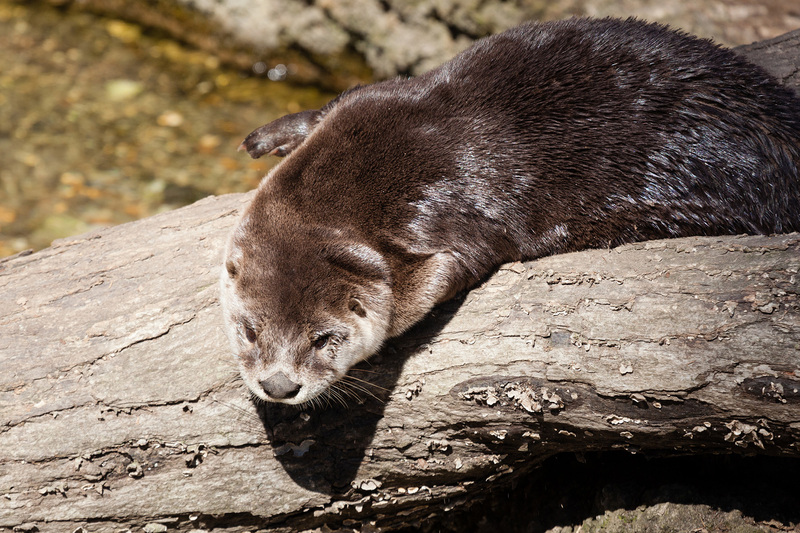 River otters are found in lakes, rivers, streams and marshes throughout the Chesapeake region. These playful critters spend time both on land and in water. They sometimes make “rolling spots” on land to tumble and play, and slide through snow, ice or dirt into the water, where they can dive up to 55 feet. Though they’re found throughout the region, they are mostly nocturnal and difficult to spot. Oysters are small bivalves that grow an average of three to five inches in length. These filter feeders are each able to filter up to 50 gallons of water per day, removing nutrients, sediments and contaminants from the water. In addition, the reefs they form provide habitat to hundreds of critters, from small fish and invertebrates seeking shelter to larger fish looking for food. 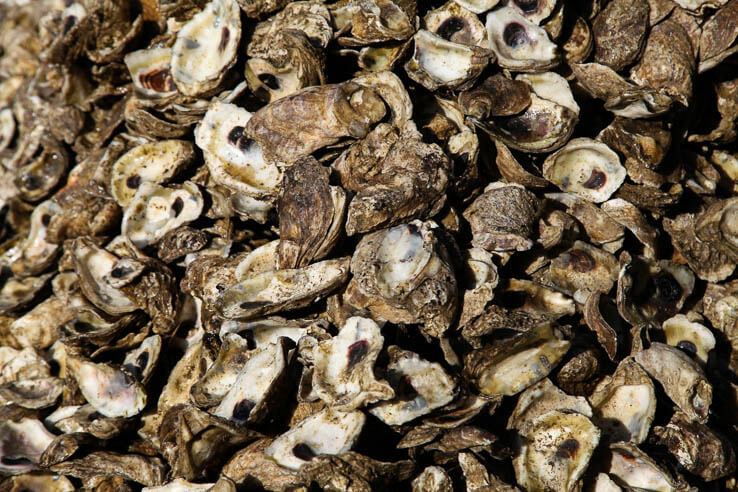 Today, native oysters are at less than one percent of historic levels. 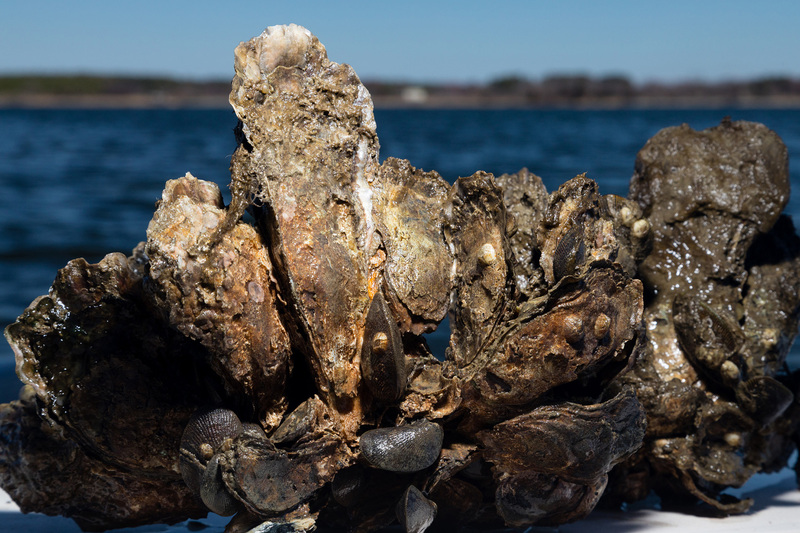 The Chesapeake Bay Program set a goal to restore oyster reefs in ten rivers. Great blue herons are tall wading birds that live in the Chesapeake region year-round. Herons spend about 90 percent of their waking hours hunting: they stalk their prey, usually fish, in shallow waters, then lunge to capture it in their bills. They have sometimes been known to choke to death from trying to swallow too-large prey. Eastern box turtles can be identified by their dome-like brown upper shell, or carapace, and their orange and yellow markings. 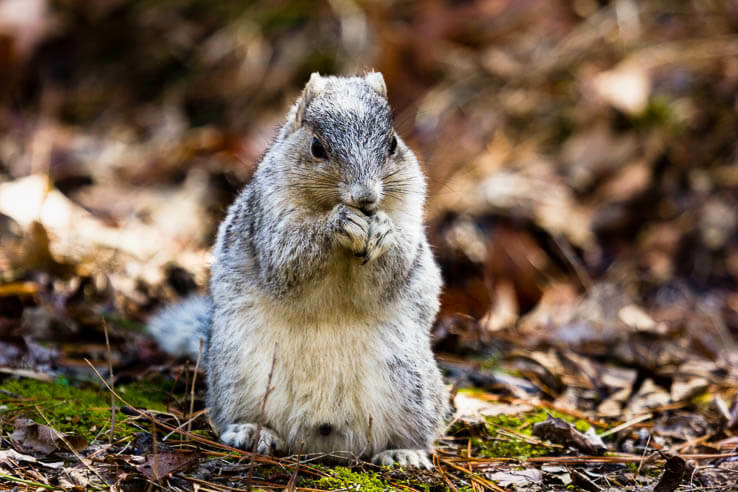 While their eggs and young may fall prey to raccoons, skunks or foxes, adults have few predators because of their strong shells. 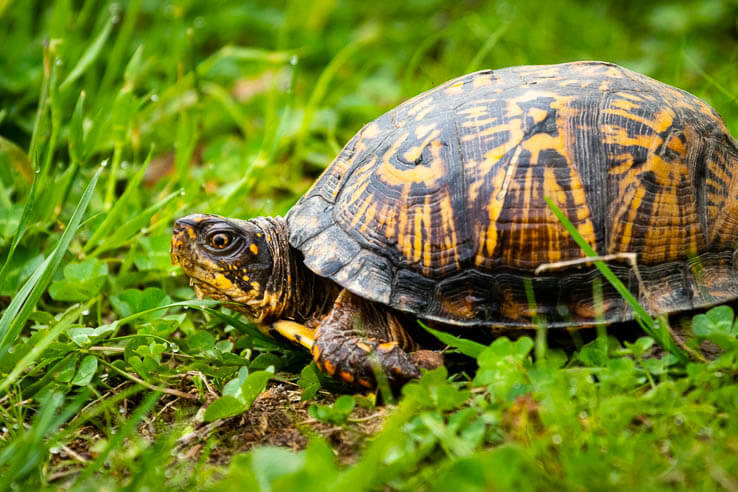 In addition, box turtles are able to safely eat poisonous mushrooms, which can make their flesh poisonous to predators. Wild turkeys are found throughout the Chesapeake region. These large birds have brown or black iridescent feathers and a fan-shaped tail. Males can change the color of their head during breeding season to attract a mate and show dominance over other males. 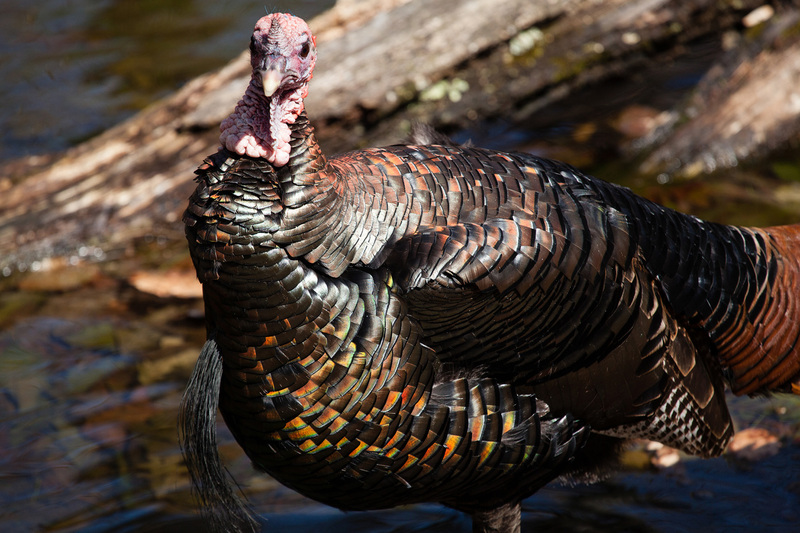 Turkeys forage for nuts, seeds, leaves and insects by scratching the ground with their feet to uncover food. Though their main predator is humans, they are also hunted by bobcats, raccoons, eagles and owls. Want to learn more about the animals and plants that live around you? Check out our Field Guide.